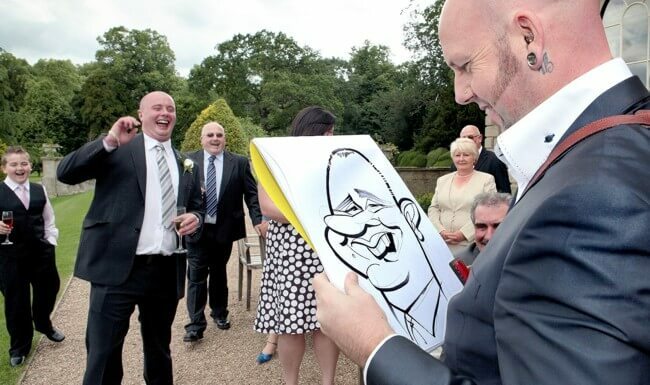 George is a star quality caricaturist with 26 years experience and numerous TV appearances under his belt, plus he’s published regularly in TV Times and GQ magazine. George headed the Olympic torch team, drawing for Samsung in 2012 and loves entertaining at F1 events worldwide. George is proud to be regularly published and he drew for TV Times from 1999 to 2003, First Post 2005 – 2007, Financial News and currently draws for GQ magazine. George remains Britain’s ONLY regularly published live caricature artist, with monthly caricatures in GQ magazine. George​ was first featured on TV in 2000, when George drew Truda on Vets in Practice. George then appeared live on ITV’s Paul O’Grady Show and twice on Today with Des & Mel in 2005. George drew Tony Blair for BBC’s Money Programme in 2007 and later made his first appearance on BBC’s One Show, his second appearance was in 2009. 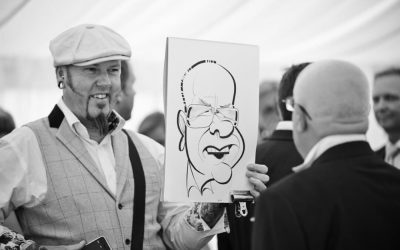 Since then George has also had caricatures featured on the Rory Bremner Show, Him & Her and Chris Moyles’ Quiz Night! George featured on ESPN, drawing Wigan for the 2013 FA Cup Final which clearly helped them to victory! In 2014 George starred in an episode of C4’s Coach Trip, where he taught the contestants to draw each other, with hilarious results. In 2015 George was snapped at a celebrity event and name checked in HELLO! magazine, but most recently in 2016 George was invited to draw live on BBC Blue Peter, where he was an absolute star! 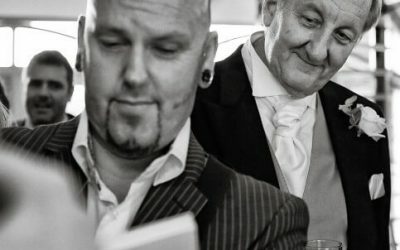 The best way to get an idea on whether George is right for your event, is to browse some photos and videos of the him in action, to ensure he’s perfect for you. 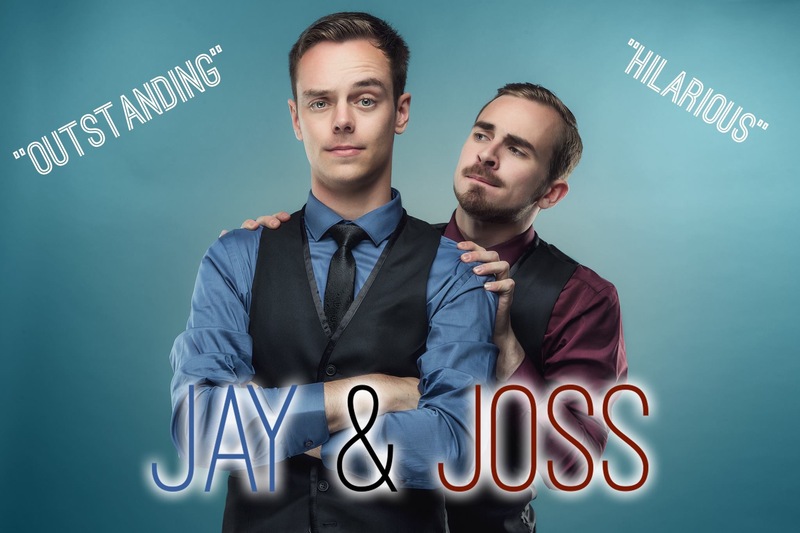 "We hired George for our wedding to entertain the guests between courses and during the evening. He was a massive hit with everyone! The speed he produces quality artwork is staggering! We was a great guy to have around and really added a bit of something different to our big day."